Search Engine Optimization (SEO) is the process of improving the visibility of a website in search engines..
SEO is and acronym for Search Engine Optimization. More than 60% of orders in today's business at an average are tracked back to the online search and research. B2B or B2C or any business today recognizes the power of search engine optimization. 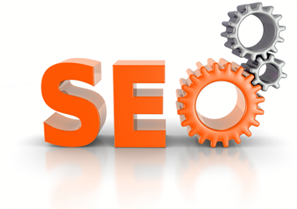 SEO is still cost effective in attracting hot prospects 24*7 rather than having a full time sales person all day long. Having a website is only the first step of going online and doing Search Engine Optimization and gaining visibility in all major search engines in a way to attract your targeted client who is looking for your service is the biggest strategy of increasing online business. SEO makes your website more effective, rich Content that is search engine friendly and relevant to the customers making your online presence stronger and driving business. What can SEO do your Website and Business? Online Marketing team is very experienced and knowledgeable in all the above steps to get targeted traffic to your website and increasing the conversion ratio for your business. Contact our customer friendly representative right away to understand your business and analyses your website to structure a game plan for your business that uniquely matches your need.